AG are pleased to announce the recent promotions of William Rogers and Tom Hargreaves (pictured above) to Associate Directors as of 28 June 2017. This is a testament to the hard work and commitment that they have both shown to the practice over the years. William Rogers, Head of Complex Projects, commenced employment at Anderton Gables in February 2015 and works closely with First Investments Real Estate Management and Manchester Airport Group. Will thrives on ‘getting the job done’ and is respected for his knowledge and eagerness to progress and pursue personal and professional development. Tom Hargreaves, Head of Commercial Building Surveying, has worked for Anderton Gables since March 2014 and works with clients such as Northern Trust, Boohoo.com and Network Space to ensure an excellent service is provided throughout each scheme. Tom is responsible for developing his team and is the “go to” person for all issues surrounding Health and Safety / CDM Regulations. Anderton Gables, which has offices in Preston and Salford Quays, Manchester, was established in September 2007 by business partners Jonathan Shaw and Andrew Whittle. Throughout the 10 years since their establishment, the team at Anderton Gables have worked tirelessly to achieve the 30% turnover increase year on year. The business has continued to recruit surveying professionals and support staff accordingly and now have 21 staff working across the North West and nationally. This is over 50% increase on staffing numbers since 2014. 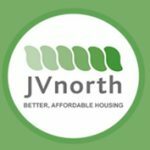 With an ever-growing client base, Anderton Gables work with clients such as BAE Systems, Trafford Housing Trust, Boohoo.com, Manchester Airport Group, Travis Perkins and Places for People. Their ability and drive to deliver an excellent service and to go the extra mile for their clients enables the team to form lasting relationships with their clients and referrers. Jonathan Shaw, Managing Director and co-founder of Anderton Gables commented: “The team are extremely pleased with the announcement of these promotions. We are thrilled to have such experienced and driven team members within our team. 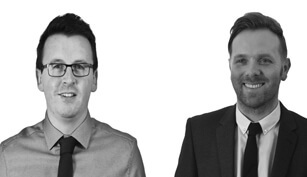 Both Will and Tom contribute significantly to the continued expansion of our client base and I’m sure these appointments will help us achieve our continued growth and vision to be the North’s leading Building Consultancy”.